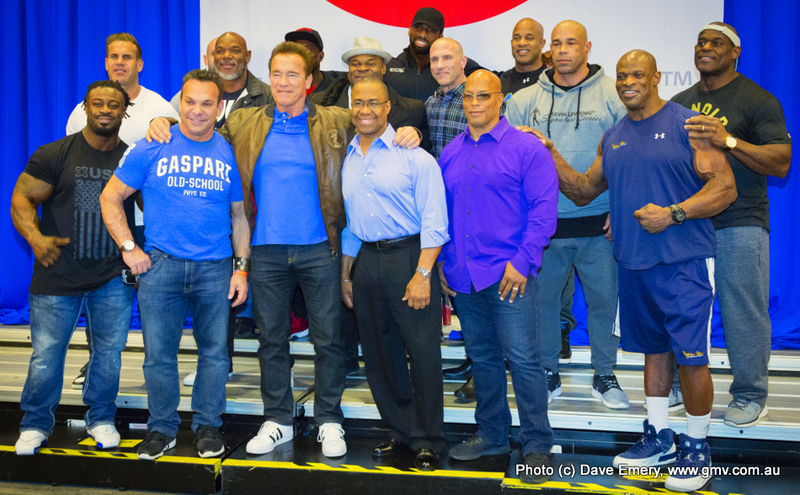 "A massive year of firsts to celebrate the 30 Years of the Arnold Classic." Arnold poses above with the winners over 30 years. To mark this special occasion, this is our 1000th DVD release under the GMV code numbered system - specially mastered on Blu-ray. 2018 Arnold Classic Pro Men 2: 212, Classic Physique, Men’s Physique & Pro Wheelchair. "A massive year of firsts to celebrate the 30 Years of the Arnold Classic." Highlights of the IFBB Pro League events this year included Kamal ElGargni who won in his debut appearance in the Arnold Classic 212, Breon Ansley who won the inaugural Arnold Classic Physique, Andre Ferguson who won his biggest IFBB Pro League title to date in Men’s Physique, and Harold Kelley in his third straight Arnold Classic Pro Wheelchair victory. This DVD brings you all of the action from these classes.